Dr. Mahdi Abdul Hadi can trace his family back to the seventh century. The Abdul Hadis are well known as landlords. They have a lot of property in the Nablus and Jenin areas. Their history goes back to when they governed in the Nablus and Acre areas. They have long been a key part of Palestinian society and the Palestinian national movement. If one looks at the Ottoman period one will come across Abdul Hadis everywhere, in government or in opposition to the government. Mahdi Abdul Hadi was born in Nablus in 1944 but has spent most of his life in Jerusalem. He studied law at Damascus University in Syria and started his career as a lawyer, like his father and grandfather. However, he felt that law was not the best way to confront the many challenges that the Palestinians were facing. So he moved to mass media and established, along with Yousef Nasser, Al-Fajr newspaper in the 1970s. After the kidnapping of Nasser, Abdul Hadi felt the need to start writing about the Palestinian question, and soon published his first book, The Question of Palestine and Peaceful Solutions. In 1977, he founded the Arab Thought Forum, a Palestinian think-tank that developed (the idea of) and produced the National Guidance Committee. The latter was successful in governing Palestinian society, in terms of building consensus and harmony, breaking the ice between factions, and maintaining the balance between the leadership inside and outside the Occupied Territories. Abdul Hadi worked with Bir Zeit University to set up the first Palestinian public relations office in 1977. The office was established to build a deeper and wider understanding of the political situation through the exchange of ideas and information. This was done via bulletins, leaflets, publications, articles and meetings between active individuals and institutions. From 1977 he served as the elected Secretary General of the Council for Higher Education in the West Bank. At the same time he decided to continue his higher education. He obtained his Ph.D. in 1984 from the School of Peace Studies at Bradford University in the United Kingdom, doing his dissertation on Palestinian-Jordanian relations. Feeling that a Ph.D. was not enough to gain a wider perspective on global issues, he went to the Harvard School of International Affairs where he was a fellow for one year at the centre, which opened his eyes to more interesting ideas on global issues. After becoming a member of the (Jordanian-Palestinian) Joint Committee as a special advisor in Amman, he accepted the post of special advisor to the Ministry of Occupied Land Affairs. He used his post to publish a booklet on the affairs of the Occupied Territories for the Jordanian community, so as not to leave it to the Jordanian authorities. With the Jordanian deportation of leading PLO figure Abu Jihad, and the problems between the Jordanians and the PLO, Abdul Hadi resigned and came back to Jerusalem. Upon his return, Abdul Hadi founded the Palestinian Academic Society for the Study of International Affairs (PASSIA) in March 1987 to provide a forum for the free expression and analysis of a plurality of local and foreign perspectives. PASSIA is involved in four main areas. As part of its Research and Publication Programme, PASSIA has published over 120 different studies on a huge diversity of subjects relevant to the Palestine Question and the Palestinians, in addition to its highly popular diary every year. Another major component is the Dialogue Programme, providing a venue for the presentation and discussion of a wide range of issues and viewpoints on matters of concern to Palestinians, with a focus on topical political events, interfaith issues, and, most importantly, the question of Jerusalem, which is a primary focus of Abdul Hadi’s interests and a core topic in PASSIA’s work. Speakers and participants at these meetings include local and foreign scholars, professionals, activists as well as representatives of political factions and the diplomatic corps. It can be said that PASSIA has proved most successful in serving as a catalyst for civic dialogue and fostering a better understanding of Palestinian affairs, be they in the domestic or international context. A third pillar of the work undertaken by PASSIA is its Training and Education Programme, which provides a much-needed venue for Palestinian practitioners and professionals to deepen their knowledge and expertise in specific areas of international affairs and institutional/personal capacity building (with courses on strategic planning, leadership, management, and communication skills, to name a few). Abdul Hadi has devoted his life to academic research, dialogue, and publication, with the aim of imparting an understanding of Palestinian issues, past and present – the land, the people, their rights and their leadership – to interested audiences here and abroad. He has published numerous articles, monographs, and essays and edited several publications, including, most recently, 100 Years of Palestinian History, A 20th Century Chronology (2001). Head and founder (1987) of the Palestinian Academic Society for the Study of International Affairs (PASSIA), Jerusalem. PASSIA is an independent, non-profit Palestinian institution and is not affiliated with any government, political party or organization. It undertakes research on the Question of Palestine and its relationship to international affairs. Ongoing and current projects include educational seminar programs in international affairs, which have included seminars on Strategy and Security, Conflict Resolution and Diplomacy, The European Union, Foreign Policies of Arab States, The US and Canada and Japan, Palestine and the Middle East; a Research Studies Program on Palestinian issues of concern and with a focus on the question of Jerusalem; a Roundtable Meeting Program to foster dialogue among Palestinians as well as with Israeli, regional and international counterparts; and a Civil Society Empowerment Project consisting of training programs on policy analysis, strategic planning and media and communications skills. 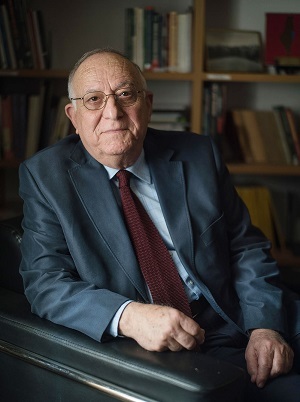 Co-founder and editor of Al-Fajr daily newspaper (1972-74); co-founder and General Secretary of the Council for Higher Education in the West Bank (1977-80); founder and elected president of the Arab Thought Forum in Jerusalem (1977-81); special advisor to the Ministry of Occupied Land Affairs, Amman, Jordan (1985-86); member of the Arab Thought Forum headed by HRH Prince Hassan bin Talal in Amman, Jordan (2002). On the 14th of February 2019, Dr. Abdul Hadi was appointed a member of the Islamic Waqf Council in Jerusalem.